At the recent Perspectivity Network Event, guest speaker Zaïd Hassan from Reos partners shared his approach to solving our most complex social challenges. He calls it The Social Labs Revolution. In Hassan’s vision social issues ask for a completely different approach than technical challenges. Social challenges are complex in nature, because they are emergent, the amount of information is growing exponentially and people adapt their behavior all the time. This creates a feedback loop. The traditional way of planning used for technical problems has a failure percentage of 90% when it comes to social challenges. Social problems require the involvement of all key stakeholders, need to be experimental in nature and should be systemic, aimed at changing the causes of the system you are dealing with, not jus the symptoms. Hassan has set up numerous Social Labs: real life experiments to prototype new innovative approaches and to test them in practice. The Network Event took place late February early March. On Friday night, old and new Network members gathered to exchange updates and get acquainted. In addition, the new Perspectivity Academy on Leaders and Followers got introduced. 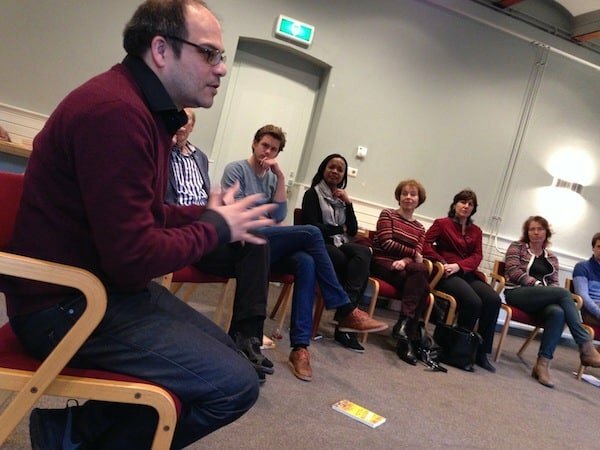 Perspectivity organises Network events three times a year.